x, 93 leaves. : ill. ; 28 cm. * a 0 0 . 0 0 0 S .
Tukey's HSD: *(p<.05) = 3.21.
o 14 oa a 4,0 o. How can we separate these? the difference between A and B? s a signature on a picture indicate? similar about tacks and nails? sm is an economic system. the acquisition of a teaching skill. trial learning. In L. Berkowitz (ed. r development in the child. E., and Zander, A. 1961. Process Approach, Stanford, University, California. observed reward and response patterns. Educational Psychology, 63 (4), 374-380. Colleges for Teacher Education. Houston, Texas. behavior. 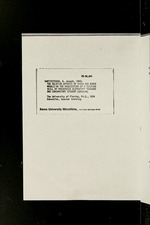 Science Education, 56 (3), 285-291.
for Research in Science Teaching, Chicago. 7($&+(5 &5,7(5,21 7(67 1DPH 'LUHFWLRQV 3ODFH 2 IRU REVHUYDWLRQf & IRU FODVVLILFDn WLRQf RU 1 IRU QHLWKHUf EHVLGH HDFK TXHVWLRQ RU VWDWHPHQW :KLFK SODWH GRHV WKLV EHORQJ RQ" +RZ FDP ZH VHSDUDWH WKHVH" :KDW LV VLPLODU DERXW DOO WKHVH WKLQJV" +RZ DUH FXFXPEHUV DQG EDQDQDV VLPLODU" :KLFK RQH RI WKHVH LV GLIIHUHQW IURP WKH UHVW" &DQ \RX WHOO QH ZKLFK RI WKHVH GRHV QRW KDYH WKUHH VLGHV" +RZ GRHV WKLV IHHO" :KLFK DUH WKH VPRRWK REMHFWV" :KDW LV WKH GLIIHUHQFH EHWZHHQ $ DQG %" +RZ DUH FLUFOHV DQG WULDQJOHV GLIIHUHQW" :KDW GHHV D VLJQDWXUH RQ D SLFWXUH LQGLFDWH" +RZ DUR WKHVH ER[HV GLIIHUHQW" +RZ GRHV WKH VXQ IHHO" :KDW LV VLPLODU DERXW WDFNV DQG QDLOV" :KDW LV WKH GLIIHUHQFH EHWZHHQ GUDSHULHV DQG FXUWDLQV" :KDW FRORU LV WKH VN\" 2UDQJHV DQG DSSOHV DUH IUXLWV 3RO\JRQV DUH PDQ\VLGHG ILJXUHV &DSLWDOLVP LV DQ HFRQRPLF V\VWHP +RZ WDOO DUH \RX" /HPRQV WDVWH VRXU )UHFNOHV DQG PROHV DUH VNLQ FKDUDFWHULVWLFV :KDW LV WKH ZLQGFKLOO IDFWRU WRGD\" +RZ DUH WKHVH WKLQJV GLIIHUHQW" +RZ DUH UDGLRV DQG WHOHYLVLRQV DOLNH" ,Q ZKDW ZD\V FDQ \RX JURXS WKHVH" :KDW VKDSH GRHV WKLV ORRN PRVW OLNH" :K\ GLG \RX JURXS WKHVH WKLV ZD\"
678'(17 7(67 1DPH 3XW WKH OHWWHUV IRU WKH DQVZHUV \RX WKLQN DUH EHVW LQ WKH VSDFH EHVLGH WKH QXPEHU &KRRVH WKH RQHV WKDW ORRN DOLNH 2 r Â D E & :KLFK DUH WKH ODUJH RQHV" Â’ D $ E F Â’ G :KLFK SLFWXUH ORRNV OLNH Â’ 2 R D E F G 3XW LQWR JURXSV n f R 2 $ :KLFK LV WKH WDOOHVW" :KLFK DUH DOLNH"
:KLFK RQH LV GLIIHUHQW" :KLFK RQH GRHV QRW EHORQJ" +RAVF 7UHH 'RA )LVN D E F G 3XW LQWR JURXSV k k k D E F :KLFK ORRNV OLNH = $ D E F G :KLFK LV WKH VPDOOHVW" $ $ D E F G :KLFK LV URXQG" D E :KLFK SLFWXUH F G :KLFK DUH DOLNH"